Enjoy the best inspirational, motivational, positive, funny and famous quotes by Alan Macfarlane. Use words and picture quotations to push forward and inspire you keep going in life! 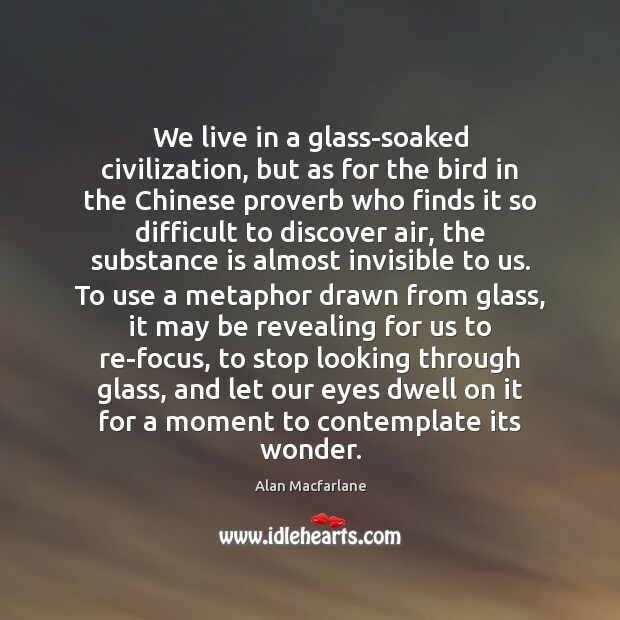 We live in a glass-soaked civilization, but as for the bird in the Chinese proverb who finds it so difficult to discover air, the substance is almost invisible to us. To use a metaphor drawn from glass, it may be revealing for us to re-focus, to stop looking through glass, and let our eyes dwell on it for a moment to contemplate its wonder.